This landscape solution is a perfect example of what can be achieved when problems are resolved with creativity. 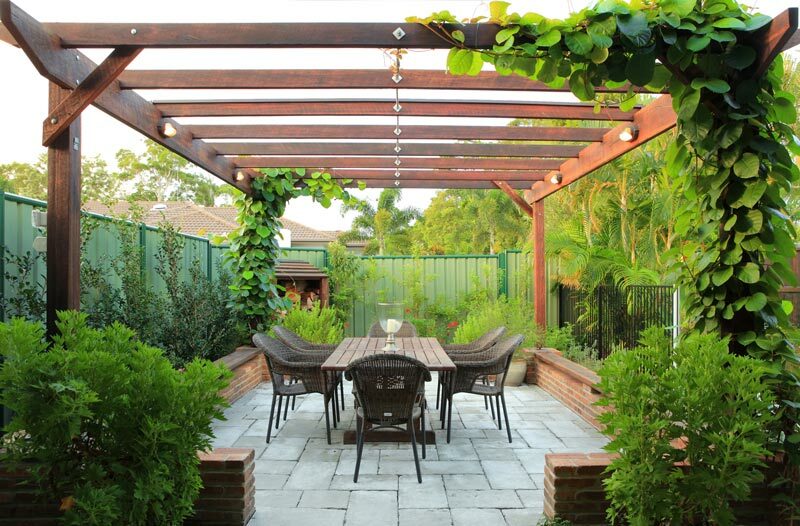 This garden had issues that needed resolving, but the clients were not prepared to compromise on aesthetics. The low-lying front entrance to the house was subject to drainage issues, where water regularly pooled. Additionally, there is a beautiful lawn area across from the front entrance that was cut off from the house by garden beds. Drainage pits installed along the front of the house have been camouflaged by a dry riverbed effect using hand selected river stones. Low growing shrubs and grasses complete the riparian look. To access the front door, a porphyry stone entrance cutting through the dry riverbed gives the impression of an ancient bridge over a watercourse. Visually extending out from this ‘bridge’, a grand stone staircase leads to the lawn area. The simple planting serves to showcase the staircase in all its glory.